Author: Macleod, Anne Set In . . . Description: In the early hours of New Year's Day 1919, in a raging storm, the Iolaire, bringing troops back from WWI, sank on its entry to Stornoway Harbour, Isle of Lewis. Most on board perished. The island community was devastated and, in addition to its high loss of men in WWI, lost a further 200 men on that night. The wreck is still in Stornoway Harbour. This ambitious first novel centres on a group of island friends whose lives are changed irrevocably by the First World War. Iain Murray is charismatic, but selfish, and his war poetry makes him a cult figure; Calum is the talented musician whose crippled leg keeps him out of the army; John-Angus is the innocent who becomes a war hero and Mhairi, the pivotal character and daughter of the island's draper who loves Calum, shocks the community when she becomes pregnant by Iain. But also pregnant by Iain is the girl Iain really loves - Dulcie. 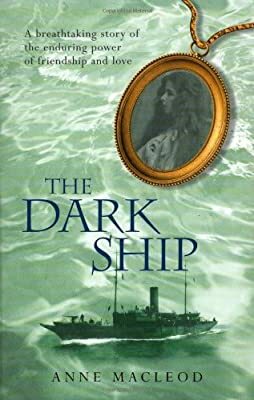 When a Channel 4 film producer finds a copy of Iain's poems and learns he was the hero of a war film, The Dark Ship, she travels to Scotland to interview the only survivor, John-Angus, and learns the tangled story of their lives. The sinking of the Iolaire is the powerful climax of this modern love saga. The Dark Ship is about a poet who went to war, his lovers, his friends who stayed behind and his friends who fought beside him. The novel spans three generations and two world wars, to the present day, and celebrates love, music and poetry in this carefully interwoven story that reflects the complex past and community of a Scottish island.